The Woman in Black is a solid attempt to make a classic ghost story from the revived Hammer . The film making combines the best of the old school Hammer with 21st century production values. It takes a classic approach to horror eschewing the slasher / blood and gore school of horror. The cinema I saw it in wasn’t completely full but was very close. There were lots of teenagers there to see Daniel Radcliffe. The teenagers next to us couldn’t believe a 12A could be a horror. Half an hour later they literally jumped feet out of their seats at the first fright and one was watching through his fingers by the end. And they loved every minute of it. The Woman in Black’s production values are extremely good with excellent cinematography and dramatic editing. The sets are beautifully dressed and atmospheric. The score is jarring in all the right places building tension not distracting from it. There was a nice mix of old school practical effects and CG. I’d be interested to know if the island was enhanced or even created with Vue as there was just a touch of something artificial about it. Having only around half the Potter films I’m not trapped in seeing Daniel Radcliffe as Harry. Daniel Radcliffe is on-screen in pretty much every scene and gives a solid performance that is maybe a little wooden in places. But that could just be him playing a rather tightly strung young Edwardian lawyer whose job depends on resolving the estates paperwork and who is still in morning for his wife. There were good supporting performances especially from Ciarán Hinds and Janet McTeer while I’d like to have seen more of Mary Stockley’s Mrs. Fisher and some of the other locals. 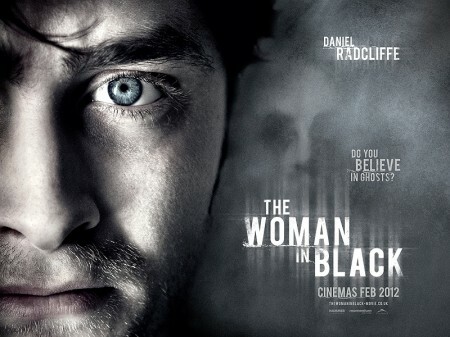 If you enjoy an old-fashioned Hammer ghost story with a quality modern production The Woman in Black is well worth a trip to the cinema. I’ve moved my notes on roleplaying The Woman in Black to their own page. What is a Sayers Sausage Roll?